LISA FOUND HER NEW HOME! 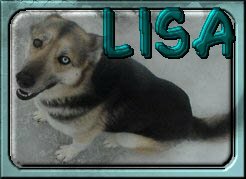 Lisa's owner had to find her a new home as he was in the process of getting a divorce and moving to an apartment that did not allow pets. She was promptly added to TOTTSHR's list of homeless pets looking for loving homes. Lisa and her dad prayed that a new home would come in time and their prayers were answered with Sherry. Sherry was looking for a good and loving companion for her and her kids and Lisa fit the bill. On Feb. 18th, one of Tundra's volunteers accompanied Lisa and her owner to Sherry's house to see if Lisa was the one they had been searching for. It was a perfect fit, Lisa quickly took to following the kids around the house and playing with them.